It’s all things firearms this week on The Revolution with Jim and Trav. Joining us will be Derrick Ratliff of Horizon Firearms and Eric Poole with Guns & Ammo magazine and co-host of “Guns & Ammo” on Sportsman Channel. Plus, Eric Rice Operations and Sales Manager for Sticky Holsters as well as Jared Hinton from Federal Premium Ammunitionand Captain of Team GLOCK, Shane Coley, will drop by. Jim and Trav’s Big Bang discussion is presented by Outdoor Channel, Sportsman Channel, World Fishing Networkand MyOutdoorTV! Do you carry every day? What do you look for in a self-defense load? Jared Hinton is the Communications Coordinator for Federal Premium Ammunition and he’s back on The Revolution this week to talk handgun loads. Listen in as Jared highlight the Federal Hydra-Shok Deep in 135 grain 9mm, 165 grain 40 S&W and 210 grain 45 Auto loads. He’ll discuss the redesign, performance, penetration and more. Jared will also discuss the 10mm and Federal’s addition of the 10mm to their HST family for 2019. Jared says that the 200 grain HST in 10mm achieves 1130 fps and also sheds some light on whether or not he thinks the 10mm is here to stay. What’s new for 2019 in the world of firearms? Industry shows are wrapping up so now is a good time to see all the new products that will be hitting the shelves this year. Here to guide us through a few of the hot new arrivals is Eric Poole, editor of Guns & Ammo magazine and co-host of “Guns & Ammo” on Sportsman Channel, Thursdays at 9:00 pm ET. He’ll talk new shotguns, pistols and how to pick up a subscription of Guns & Ammo now that firearm magazines are being removed and suppressed in stores. Tune in as Derrick Ratliff, President and Founder of Horizon Firearms joins us for a wide-ranging conversation on calibers, barrels, stocks, scope mounts and more. 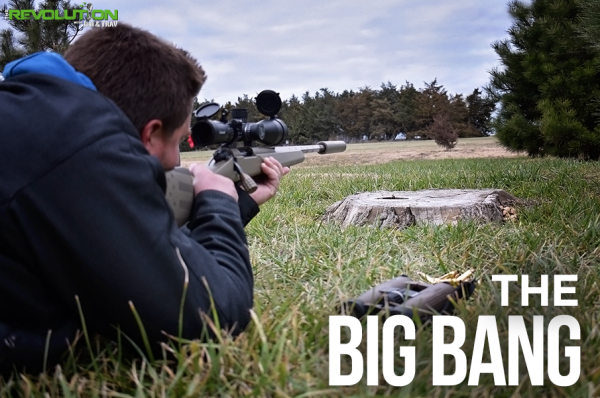 Listen in as Derrick talks about how to choose the right caliber, the popularity and influence of the 6.5 Creedmoor, the questions surrounding barrel length and performance, wood vs composite stocks, and high quality scope mounts. Take notes, there is a lot to unpack here! When you unload your pockets at the end of the day, be honest, how much stuff do you pull out? It’s likely that your pockets are stuffed full with a wallet, cellphone, knife, cash, multitool, firearm, extra magazine, pocket lint, loose change and more. While that’s what pockets are designed to do, hold your stuff, the reality is that those pockets are only so big and there comes a time where you have to either cut down on what you carry or find a smarter way to carry it. Eric Rice is the man with a plan and the Operations and Sales Manager for Sticky Holsters. He joins us this week to talk about their line of full concealed everyday carry products to solve your pocket chaos. Listen in and take a look!